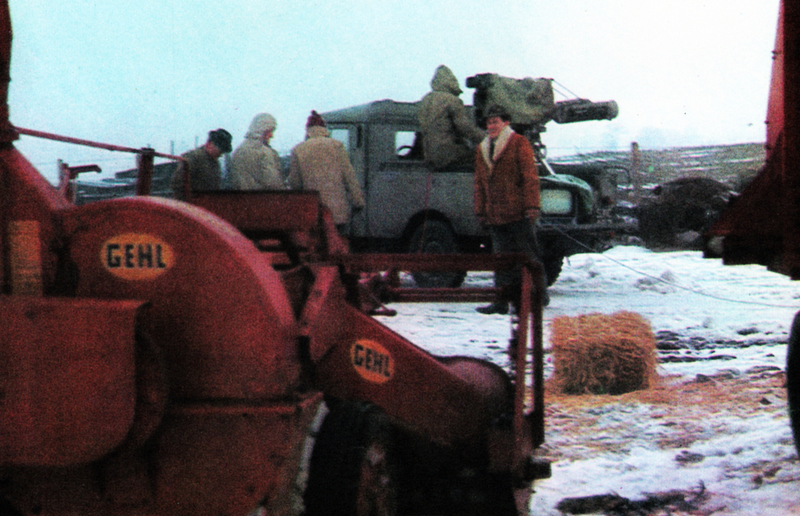 A look at ABC’s OB units. An excerpt from ABC TV in Focus, a book given to potential advertisers in February 1963. Bringing the Church into the home. 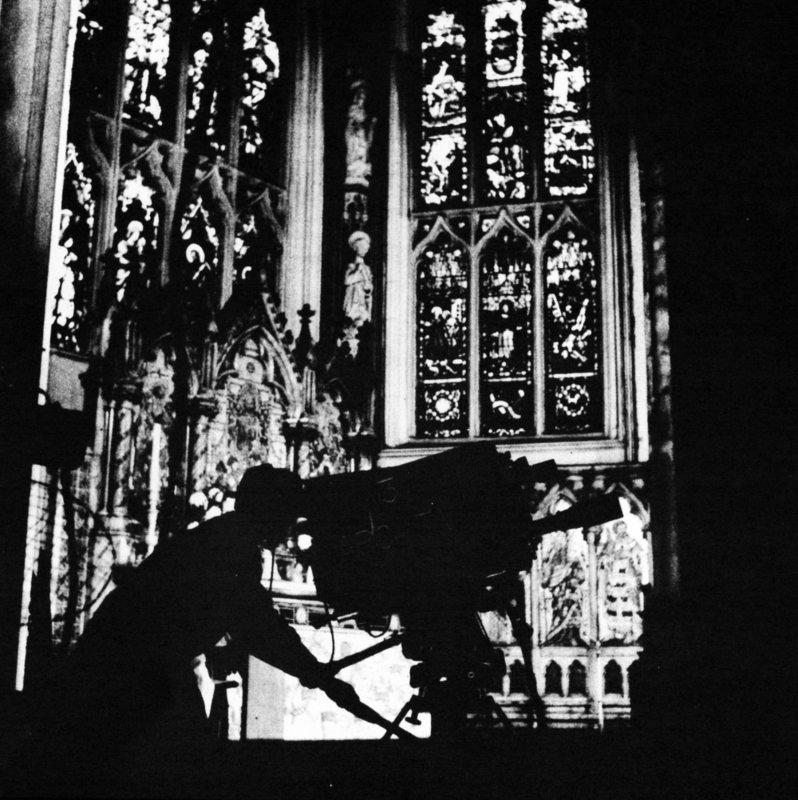 An ABC Outside Broadcast camera silhouetted against the alter of the Parish Church, Leeds. 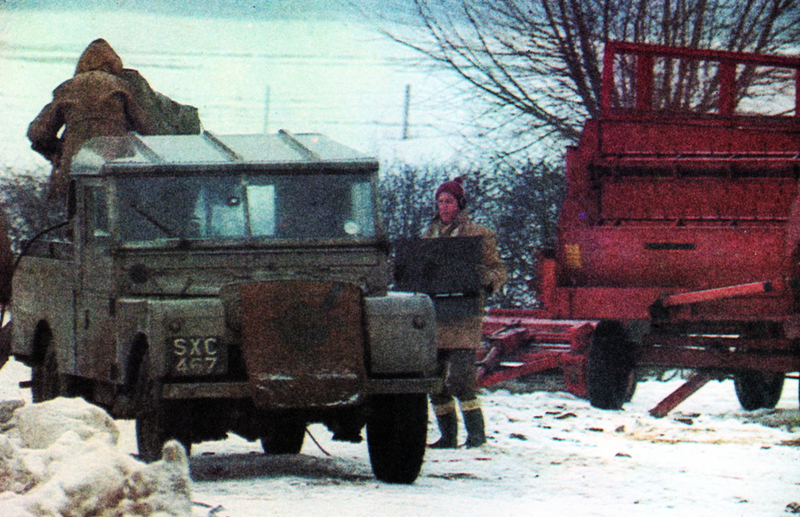 Since 1958, the outside broadcast units have travelled thousands of miles throughout Lancashire, Yorkshire and the Midlands to make Sunday morning Church services a reality to the vast congregation of the old and the infirm who are kept at home. The television audience, while demanding a full share of drama, light entertainment and feature programming, also enjoys sport – even if only from its armchair. And because you can’t take a football field to a studio, the studio must go to the field. In outside broadcasting the scene is set by the programme. For the rest it requires the same basic resources as any other television production, plus a few of its own. The first of these is mobility; getting the cameras, control unit and attendant vehicles to the scene and, having got them there, getting the cameras to the spot that will deliver the best shots. The second is a private, flexible and extremely positive link with the studios. Where there are no GPO land-lines for carrying the pictures back to a Master Control, and so to the transmitters, the OB unit must create its own contact; by bouncing the signals in a straight, uninterrupted line from one high, lonely point to another; from one mobile micro-wave relay transmitter to the great dish aerial of a receiver on another – regardless of weather or terrain. Outdoor events. Car driving tests from the promenade at New Brighton, Cheshire – part of the Inter-Club Television Challenge Trophy Event. The teams competing are clubs from Lancashire, Cheshire and Yorkshire. 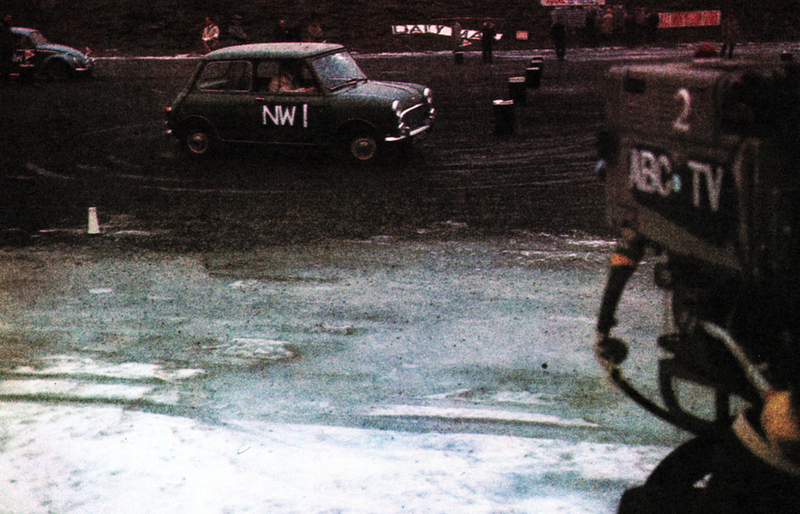 In its coverage of outside broadcasts, ABC features some of the unusual events as well. Sport. The majority of outside broadcasts are of sport; sports with a big following like horse racing, wrestling, boxing, motor cycle scrambles; and those with a less wide appeal – Rugby League and gymnastics. 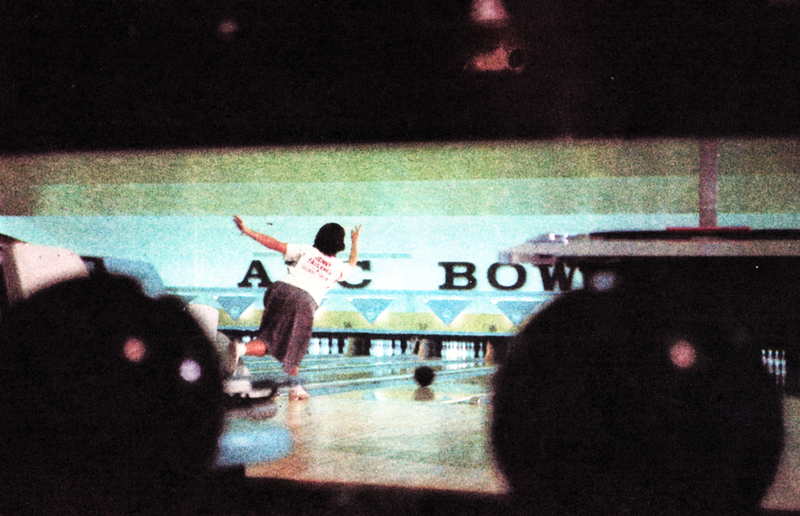 Here the outside broadcast cameras cover a Tenpin Bowling match from an ABC Bowl at Liverpool, bringing the national television audience a glimpse of another part of the Associated British Picture Corporation’s activities in the field of entertainment. In short, the whole coverage of an event in the open requires men who are rugged and optimistic, and determined enough to go anywhere; with vehicles tough enough to get them there. The ‘vehicles’ in any of ABC’s three OB units might include a mobile generating plant for producing lighting power, a hydraulic tower for camera or micro-wave aerial, tender vehicles and, if the programme is not being transmitted ‘live’, a mobile VTR unit. 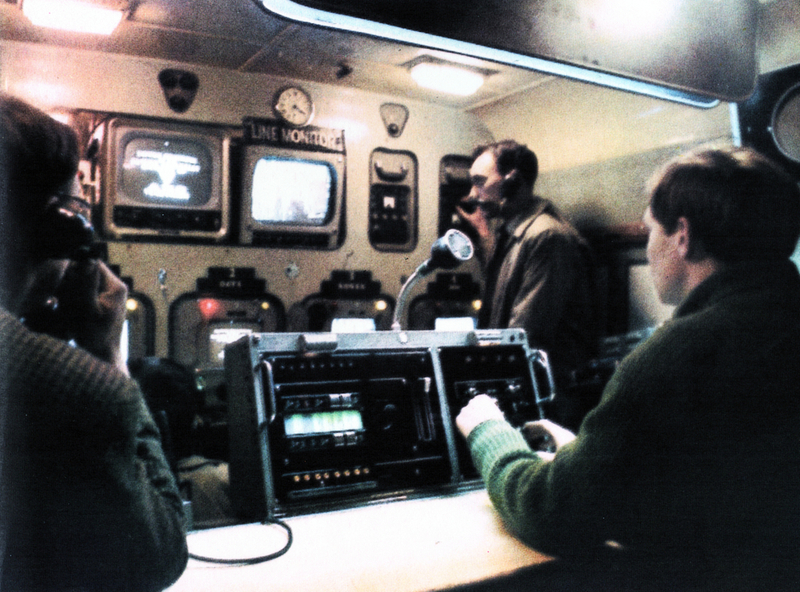 Once these have been positioned, the necessary connections made, and the line back to Master Control set up, a normal transmission procedure follows. The show must go on. Travelling with an outside broadcast unit is like being with the circus. The rigging and de-rigging before and after shows, the long caravan of vehicles… all this reminds you of the Big Top. The same spirit pervades both; whatever happens, whatever the difficulties, the show must go on. Top: The floor manager holds up a caption card to begin recording. 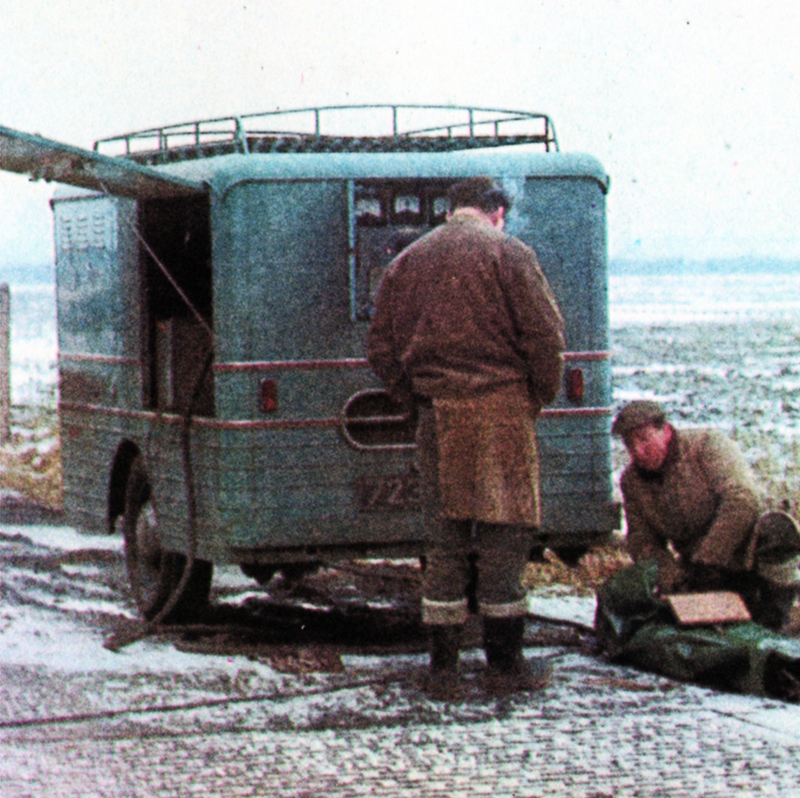 A familiar television scene, acted out in unfamiliar conditions. Left: Like the circus, an outside broadcast unit needs large supplies of electricity in remote places where they are not always readily available. ABC has the same answer: a mobile generator. Right: The numbed yet willing fingers of an electrician make a last-minute adjustment to one of the lamps lighting a cattle shed. ABC’s regular series, The Other Man’s Farm, won this year’s Fison Award for the best tv programme on farming. One of the reasons that makes ABC’s programme best is that it goes out to a different farm each week to do a live programme, and to conduct practical demonstrations as well as lively discussions on agriculture. Stuart Seaton, one of the commentators, and the ABC outside broadcast cameras on the Ministry of Agriculture’s Experimental Husbandry Farm in Warwickshire, where this programme took place. 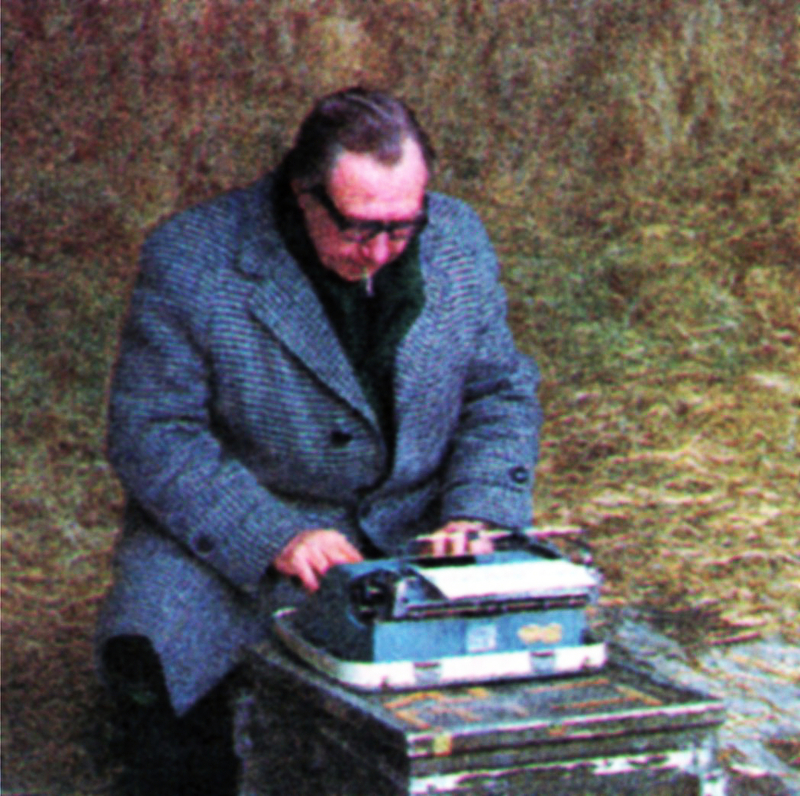 The producer – with a bale of hay and a packing case for office furniture – makes an alteration to the script. He has a keen knowledge of farming, but above all knows how to put it in visual terms for the farmer. In conditions like these – in the severest winter for years when it was too cold even for the cows to come out – ‘The Other Man’s Farm’ unit carries on; man and cameras protected in Arctic clothing from the below zero temperatures and biting wind. 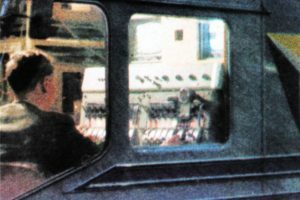 The cameras are the same as those in a studio, though perhaps fitted with ‘zoom’ lenses; the control suite – a ‘scanner’ – has nearly the same crew; and the radio or telephone ‘talk-back’ link with Master Control holds the unit as close to home as it would have done if it had been just down a corridor. ABC with its weekend contract in the North and Midlands, and a lot of difficult country-including the Pennines-to be crossed, has gained a great deal of experience in operating an OB fleet. The fact that they are now doing more ‘remote’ programmes than any other ITV company, and not many less than the BBC, is a strong pointer to the power they have built into their OB division. 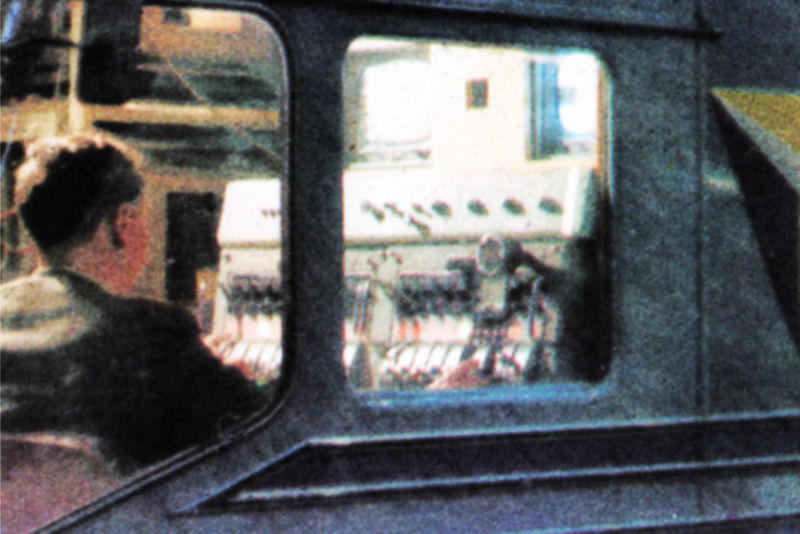 A sound supervisor at his control position beside the driver’s seat of an O.B. scanner. From its base at Manchester, ABC’s outside broadcast fleet travels 200,000 miles to cover over two hundred programmes a year. Inside an O.B. scanner; a control suite on wheels. With monitors shared by Vision Control and Production, lack of space demands real compatibility. But careful planning has given ABC scanners almost as much flexibility as their studios, and contributed to a keen team-sense in the crews. The Promotion Department, based at 1 Hanover Square in London, was responsible for promoting ABC programmes in the press and for explaining the process of television to potential advertisers. These pictures bring back many old memories, I Vision Mixed on many of those programmes – Great days !! The presenter of The Other Man’s Farm is named as Stuart Seaton. Would that be the.same gentleman who went on to present Farming Outlook for Tyne Tees in the 1970s?